Based on interviews with 2,108 business professionals who assess and hire new employees at their companies, skills and experience topped college rankings by an overwhelming amount. In fact, the majority (56%) said that the ranking of an applicant’s college is “Not at all important” when making hiring decisions. Employers clearly place a priority on a job applicant’s personal (93%) and technical skills (81%), their interview presentation (95%) and previous work experience (80%). 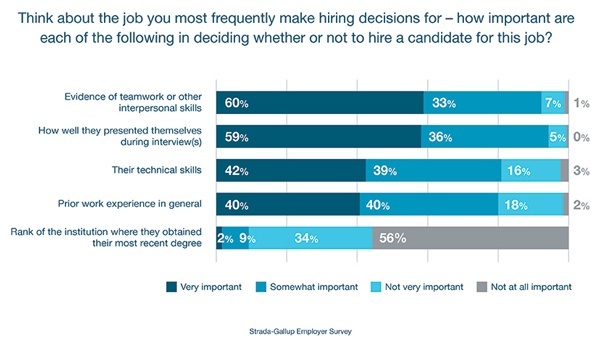 There are insights for employers in these findings as well. Training in skills that are relevant to the workplace need not come from a top-ranked college. 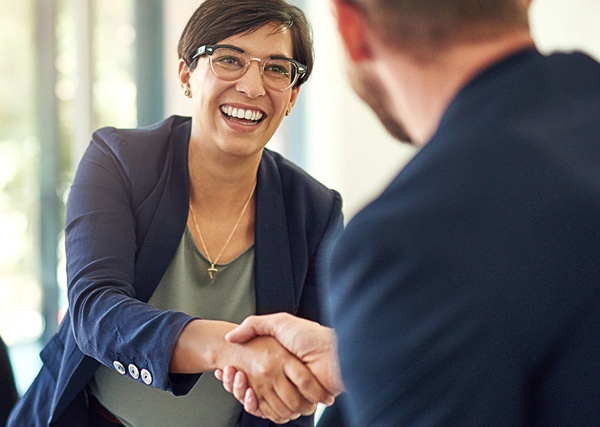 In addition to hiring, employers looking to retain or retrain talented employees should consider the value, to their organizations and employees, of providing talent management, career development and employee education. The more that education consumers and employers learn about how to succeed in their careers, the more valuable their education experiences will be. We're excited to host Carol D'Amico as a featured speaker at the 2018 CAEL International Conference in Cleveland, which runs from November 13 to 16. Register today to join like-minded colleagues who also are invested in understanding and improving pathways between education and careers.